9C, light SSW, dry, fine day. Ride- CK: Distance: 40.60mi, time: 02:32:34, pace: 3:45min/mi, speed: 15.97mi/h. That didn’t go as planned! 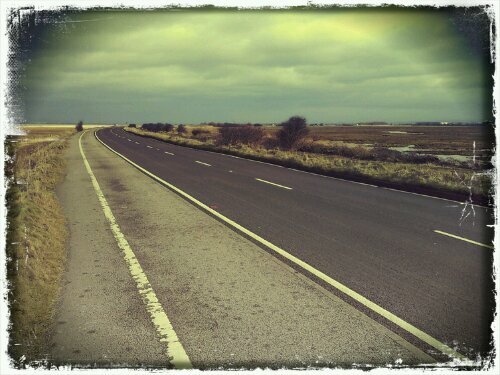 Decided on a coast ride, along the sea-front at Southport. Near Formby, the first puncture was dramatic, loud and deflated quickly. There was a car crash nearby and traffic was very slow. The real problem was the crappy pump which broke the valve on one inner-tube. Fortune was on my ride today- hidden in a holiday centre was a bike shop. Not only did they sell me replacement inner-tubes but view fitted it. The Tyre was obviously split so the guy found a usable Tyre from out the back. I will call in tomorrow and buy some kit. It looks like an excellent shop. This entry was posted in Cycling and tagged Cycling, puncture, repair, tyres. Bookmark the permalink.